Top of Google has developed a process that is proven to raise client website rankings in Google. 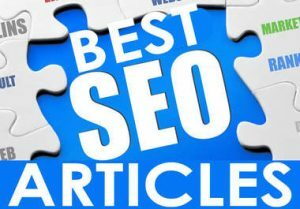 They have created a complete SEO solution by combining targeted content articles, blogs, proper labeling, link building, and external press release linking to client websites, which enables them to achieve top page listings in Google. The process has been tested time and again with successful results. We Get Your Business Noticed Online! Top of Google has tremendous success in helping their clients achieve increased traffic volume, increased customer phone calls, and improved business traffic. Top of Google creates professionally written content using industry relevant keywords that are placed throughout web articles, press releases, and blogs in order to draw Google search attention. Google seeks fresh content and searches for keyword relevance for search engine placement. Top of Google use their knowledge and resources to improve your company’s online presence and raising your search ranking in Google. We Help Business Professionals and Corporate Websites Gain Market Share! Call Today and Experience Top of Google Success! If you want to improve your visibility online and drive more customers to your website, business location, or increase call volume, contact Top of Google. Call today by dialing (877) 867-6346 ext 311.